We started seeing the trend a couple of years ago, and it has become one of our major predictions for this year and the next: more retailers will be shipping from stores, using individual retail locations as small distribution centers for online customers. reducing the number of returns that have to go back to the warehouse or the supplier. The toughest part for retailers who want to start shipping from stores is to know legitimately what inventory is in the stores. So they should start thinking about a better way to validating the ongoing inventory throughout the year. Start looking at ways to do cycle counting at the store level (this is normally a warehouse function). That way, you can be sure that the actual in-store inventory matches what’s on the computer. Next, you have to get the store ready to become a shipper and thinking of themselves as a drop ship-capable vendor. There are some nuances to that, such as knowing which store is closest to the customer in order to keep freight costs down. You’ll want to analyze store locations in proximity to the customer, matching it up with whoever has the inventory, and then shipping it from there. 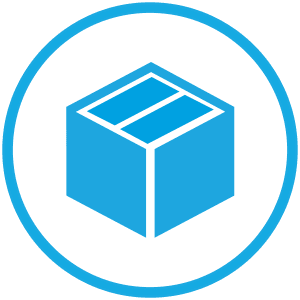 You might even discover the warehouse or a vendor is closer to the customer than the store, so you’ll need to decide whether to fulfill out of the store, or have the vendor ship out of their location. Shipping from a store can drive traffic back to the store, but there might be a more compelling reason to have the vendors to ship for you. Having ship-from-store is just about having options in a retail landscape with elevated consumer expectations and a need for supply chain efficiency. Of course, you’re going to run into problems, such as when the computer system shows you have items in inventory, but when you go to the shelf, it’s not there. How do you solve that problem? First, this is where in-store cycle counting can help. If you can keep your inventory counts up to date and confirmed, you’re less likely to run into that problem. You can also have your staff revolve around the store and replace misplaced inventory. How many times have you seen a customer pick up an item and carry it through the store, only to abandon it 30 feet from the checkout counter? An item missing on a shelf may actually only be sitting on another shelf. You should also make sure the planograms are correct. It’s possible to have products in two places at once, on an end cap and on the shelves. But store personnel might not realize that there’s a second placement. An RFID system can easily solve a lot of this. If an item has been misplaced, on an end cap, or even if it’s fallen behind some other items, the RFID system can help you find it in seconds. However, if you’re getting into in-store shipping, make RFID a lower priority. The first priority is to make sure you can get orders in the store to fulfill for shipping or even buy online pickup in store (BOPIS). If you find out during the test phase that inventory is not that accurate, that’s when you can address it. But don’t let inventory issues stop you from exploring a very profitable and efficient method of order fulfillment. Finally, we recommend that a store have one or two dedicated people to handle fulfillment. You can have regular staff who, as part of their duties, check whether there are any orders, and then handle the fulfillment. But once you have enough shipping traffic, it’s important to have a dedicated department and staff handling it. Let them handle the picking off the shelves, packaging, and ensuring it’s picked up by the UPS or Fedex driver. Consumers expect a lot these days, and it’s up to retailers and suppliers to determine how best to serve each customer. Sometimes it will be more efficient to ship from a store than it is to ship from a warehouse. If the item is there on the shelf, and an online customer wants it delivered to them, why shouldn’t the store be considered as a fulfillment option? With so many more purchases being made online, retailers should be flexible in their fulfillment opportunities with an eye towards efficiency throughout the supply chain. If you would like to learn more about on-site shipping from stores, please visit the SPS Commerce website for more information for retailers, or contact one of our sales professionals. Want to get started with drop shipping? Learn about drop shipping benefits, fulfillment options and which electronic data transactions make it work. Scott Bolduc is a multi-time winner of the Supply & Demand Chain Executive Pros to Know. He has worked with e-commerce retailers on their growth strategies and helped retailers transform their freight spending strategies to maximize efficiencies.